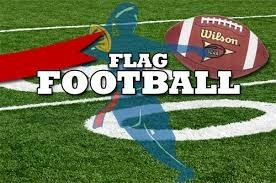 THIS IS FOR FLAG FOOTBALL ONLY!!! Updated Wednesday September 12, 2018 by Steve Zaccone. The flag football and flag cheer programs differ slightly than the rest of the Bombers schedule because some of the teams we play against on the schedule either don't have a flag football program or only offer an in-town flag program (where they don't play against other towns). The following is the revised schedule for the Bombers Flag Football program replacing those teams which do not have flag with a program that does. PLEASE ARRIVE 1 HOUR BEFORE YOUR TEAMS SCHEDULED START TIME !! !